Warranties are important but are only as good as the company behind them. Many companies “talk” about their warranty but what they put in writing is often very different. The old adage, "read the fine print” could not be more appropriate here. Most, if not every, competitor’s warranty I have seen are actually hidden, long-term service agreements that can cost a customer thousands of dollars over the years…especially those that offer or require an annual inspection. The purpose of that inspection is to SELL you service work. Some may actually require you to buy the service or lose your warranty. 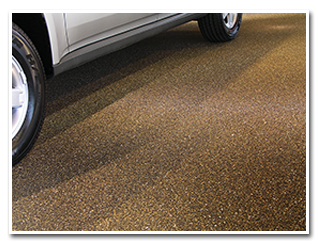 Typically “loss of gloss” is never covered and companies make a living charging customers for topcoat applications year after year. Because of our proven performance we have continually improved our warranty…In Fact, Only Authentic NATURE STONE® Brand Flooring Offers a 10-Year Unconditional Warranty.